Staying ahead of the curve when tracking your finances can be a chore. A transaction here, a tax there, it’s easy to see how the sum would seemingly grow or shrink without your notice. Of course, all of the records are stored in your accounts, but wouldn’t it be more convenient to have a desktop and/or a mobile app that lets you sync, track and manage your finances? It really is easier that it sounds, and study shows that people who track their money on a regular basis feel more comfortable and achieve better results. So why not give it a shot? We’re here to list and provide the links to some of the most useful apps to get you up to speed when it comes to personal finance tracking. Starting the list off with a bang, we have the award winning Quicken Premier from Intuit. It offers complete control over tracking your transactions by using a modern interface with generated graphs and charts based on your transaction history, budgeting for the future with features that allow planning a retirement fund or that special dream getaway, all with bank-level security, constant updates and completely new software iterations each year. Moneydance by Infinitekind is another easy-to-use, top-league player that allows both PC and Mac users complete control over their account management, online banking, investments and account registers. Moneydance has by far, the most complete and detailed reporting options currently on the market. It also allows monitoring and managing from your tablet device, so you can stay up to date even on the go. Buxfer is a different beast in its own, because it’s an online service platform with finance tracking features. This is a solution for those who use multiple devices and feel like it’s more convenient to log-in online instead of having a software system installed. The online dashboard offers insight into all of your synched accounts and alerts you if you crossed any of your set boundaries. It’s easy-to-use, user-friendly but lacks some of the advanced features professional software provides. MoneyLine is one of the more straight-forward apps out there, offering quick and intuitive control over monitoring and planning your finances. Once you sync your bank account, credit card, and investment account, the task of budgeting and setting your targets comes fairly simply. The only downside of MoneyLine is the lack of mobile support, which means you’ll need keep a laptop handy if you want to check up on your money. Similar to MoneyLine, YNAB offers very simple and user-friendly interface that allows you to do basic tracking and managing of your accounts and offers mobile support to top it off. Contrary to most apps we listed, YNAB is centered around users who only need the basic home finance management options such as using transactions or following your history but if you’re looking for more advanced features, this one might not be for you. Personal Capital prides with a revolutionary design and functionality. It was founded in 2009, and it is perfect for both business and individual use. The finance software app is free, and it is particularly aimed for money management, budgeting, and personal finance for nearly all platforms and devices, including desktop, iPhone, Windows Phone and Mac. Personal Capital permits users to monitor and manage their entire financial life. Among several other functions, we should mention cash management, debt, investment, and monthly expense management. Quickbooks is a leader in the business finance world. The app target all types of companies, regardless of their size. The app syncs files in real time; it runs monthly payrolls, imports PayPal transaction via QuickBooks Online, and it extracts data from invoices and receipts, thus generating invoices and financial estimates. In the end, it all comes down to personal preference and needs. 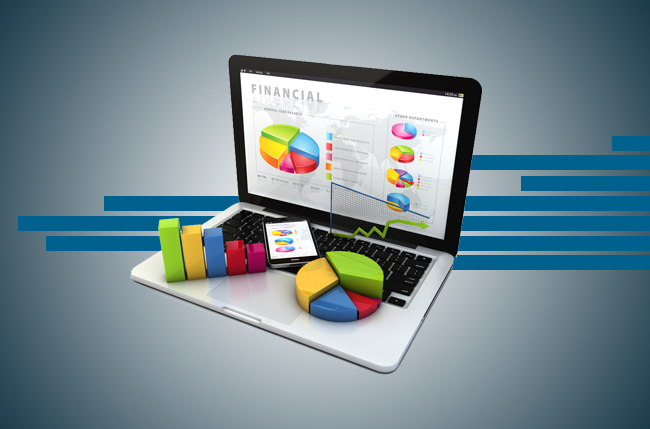 We encourage you to take a look at all of the apps and financial advisor software we provided above. There’s always that one feature that you absolutely want no matter the rest. The most important thing is that they all work and they are all good, but some are just (personally) better than others. Taxes are something we’ve all grown accustomed to and quite frankly fearful of. It’s the curse of the modern society that whatever profit you make, there’s a price to pay as well. The government is always there to take its “fair” share and grab a piece of your hard earned pie, and we all know that it’s unavoidable. But is it really? Sometimes it just seems like too much, like there’s something not right because that piece of pie is somehow too large to ignore. There are ways to amend this; by abiding by the rules of the system and paying just as much as you have to, not as much as the system wants you to. Believe it or not, it’s not impossible to avoid capital gain tax on property. You just need to be smart when investing in real estate. Make sure that all your assets are accounted for. It might also be a good idea to obtain 2 valuations. If their value is different, you can try a third opinion and select the one that best fit your bill. Valuations should be done on paper, so that you can keep record if taxmen ask after you’ve decided to sell. Don’t forget that surveyors will demand a fee, while valuations performed by realtors are usually free. Here are some more tips on how to avoid cgt on property. The current household threshold of tax bracket stands at 15% and depends on your state filing status. This could range from single to married with children and they grow exponentially with each member of your household. The best case to use the tax bracket threshold is by milking your stock for capital gain if you’re nearing your account limit without paying any tax whatsoever. Donating or opening an IRA is an easy way to making sure you can sell your stock without paying extra tax simply because you reduced the taxable income by loosening up your threshold. The trick with traditional and/or Roth IRA is that your stock is tax free as long as you don’t withdraw any funds. This means that you can grow your stock value until retirement without paying any extra taxes on gains whatsoever. Another benefit is that these contributions will make sure your taxable income is significantly lower on the year you make them; in turn, both your capital taxes and income taxes are lowered or in some instances, completely nullified. Exchange trade funds are a good way of keeping taxes to a low; by managing the ETFs you allow yourself leeway because the funds operate on an index that rarely changes. This allows carefully planned investments and withdrawals, timing your moves correctly and generating as low capital gain as it’s possible. The downside is that there is capital gain to be paid for making income but even that is only marginal. The capital gains taxes in this case often only come in form of voluntary tax where it’s up to you whether you want to realize gain that results in a tax bill. A “stepped-up tax basis” is a term often overlooked when it comes to managing capital gains on property. It allows an inheritance of stock values without inheriting the tax that comes with it. The income tax liability is addressed by using the date of the original owners’ death as a pointer when deducting the exact percentage of capital gain tax and allows the newly inherited owners to sell of stock without paying any tax whatsoever. It’s a good way of thinking ahead that allows you to leave something for a future generation instead of selling stock during the retirement. A simple yet time-consuming way of getting rid of capital gains tax on property sale is by offsetting them with your capital losses and wiping them out completely. The incoming tax rate goes into two categories; short and long term. The trick is that the state won’t ever tell you which one it applied. The process starts with subtracting short term losses from gains and long term losses from gains and ends with subtracting any net losses from any net gains. There’s no need to have any unused capital losses since it’s possible to fully use them and completely wipe out your capital gains taxes and move on from there. For expats to avoid paying any capital gains tax property, their asset would need to be a PPR, principal private residence for tax purposes. This action can be taken by the owner (husband or wife) with a permanent residence in the Turkey, UK. They should have proof that they lived in the UK for a minimum period of 90 days. They must also be registered as a UK resident paying taxes. If you are a financial advisor doing the balancing act between life and money, then professional liability insurance could be the long pole that can help you do the balancing act really well. You might argue that, as someone who racks up a pile of money, you might never need insurance. But if you do, you could be happier. Professional Liability Insurance can protect you against losses due to negligence and claims made by your clients, which could arise due to misinterpretation or malpractice. As a financial planner, it’s important to be prepared to face unexpected claims when dealing with the public. If not, that could damage your personal reputation as well as your company’s image. Mistakes happen in any profession and they are not so uncommon in markets that fluctuate up and down all day long. As a financial planner, you would be handling people’s money which could sometimes be their lifelong savings. If any money is lost due to whatever fault or mistake from your end, they’re going to sue you. That can be stressful and time-consuming. Professional Liability Insurance can provide adequate coverage for unexpected losses and thereby minimize your risk and aid in the smooth running of your business. What is covered and what is excluded depends on the policy that you choose. In most cases, you will get legal coverage, breach of fiduciary duty, and regulatory compliance. You will also be protected you against penalties due to mistakes such as not informing the client about a 401(k) rollover timeframe when he/she changes jobs. It helps you perform your duties to the best of your ability without worrying about some of the most unpredictable risk factors in trading. And it also helps develop people’s trust on your company. It protects you against huge financial losses that could arise due to negligence and certain unexpected scenarios. For more details on the purpose of the coverage, services included, and exclusions make sure to get in touch with a professional insurance company. Of course, plans and pricing will differ from company to company. To get an idea of what you could expect from the best, please have a look at the top insurance companies. The investment world has gone through some serious changes over the past few years. Busy professionals eager to keep their portfolios diversified don’t have to keep an eye on the market 24/7 anymore. There’s great potential for newbie investors too. Just because you don’t have millions in the bank, it doesn’t mean you can invest and make a profit. Several of the most common investment methods are robo-advisor investing, asset allocation, index funds, gold, and stocks. Now in terms of choosing a method, this depends entirely on you and your investment strategy. Are you willing to commit to a plan, but at the same time take a risk? The investment market is not 100% secure. Bad things can happen (e.g. market crashes), so you have to understand that there’s a slight chance you can lose the money you initially invested. How much are you willing to put down in order to get a chance a living comfortably by the time you reach 60? Here are some low-cost investing methods for busy professionals to manage their investment deals. If you can’t afford a financial advisor or you just don’t want one, robo-advisors will help you make the best decisions. They offer automated management advice online by using robo-advisor companies. These employ the exact same software program as a human financial advisor; however, the portfolio management advice doesn’t cost a fortune. Most investment options are based on lost-cost ETFs, as well as stocks and additional types of investments. Several robo-advisors additionally offer special features meant to help you trim added tax charges in accounts that are tax sheltered, such as IRA or 401(k). To some degree they’re extremely popular; mainly because they require minimum assets for an initial investment. Several companies don’t have account minimums; however others do require a small amount of $100/month to be permitted to invest. This makes robo-investors an excellent alternative for busy professionals who want some advice but don’t necessarily want to spend time (or don’t have the money) to consult with a financial planner. Some investors consider robo-advisors to be too impersonal. But then again, there’s a sensible solution available for them too. Companies such as Personal Capital or Vanguard provide robo-advisor options assisted by a real-life financial planner. Busy investors may find this method extremely efficient. If you enjoy low cost management and don’t have a problem with using the web to make an investment, than robo-investors are exactly what you need to keep your portfolio diversified. Furthermore, this option is ideal for those with limited funds. These are mutual funds pre-mixed with cash equivalent, fixed income, equities, and even alternative investment deals. 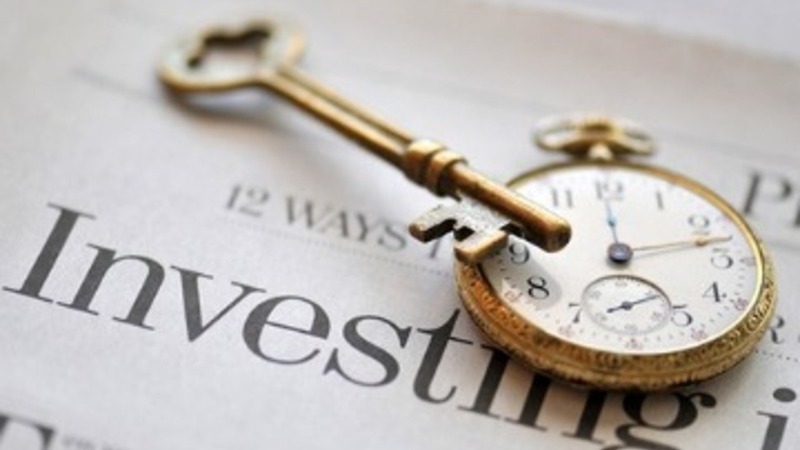 Investors opting for this method are predisposed to an instant portfolio diversification. The initial fund can be easily blended and rebalanced in various ways, thus preserving a desired mix of bonds and stocks. The fund’s title gives investors clues to help him understand the way his money is being mixed. An investment portfolio that’s properly balanced is usually a combination of 50% bonds and stocks. Target date and lifecycle funds begin with an increased stock percentage, and then they gradually become more compact as investors get near the pre-determined deadline. In most cases, we’re talking about retirement. There’s another type of fund called lifestyle fund; this is usually billed on risk levels – moderate, aggressive or conservative. If you’re a busy investor seeking high returns, the key is to own stocks. Stocks have inflation-beating qualities, although you might want to stay away from single shares. A better alternative are index funds that span on whole markets, even on foreign markets. This way you get a chance at receiving dividends, as well as any appreciation that comes with your results without taking huge risks. If you’re thinking of investing in bonds, just make sure to own them through an index fund. Last but not least, we have gold. Make sure to have enough to counterbalance what you own in real estate, stocks or bonds. Intermittent re-balancing guarantees that you’ll be cashing out any gains in an appropriate timeframe; thus creating a wealth-building, compounding return while also avoiding risk. If you feel you can’t manage on your own, consult with your advisor and talk about finance software programs too. These can help you stay organized and diversify your portfolio without going broke or getting into a deal that might have severe repercussions. If you’re sick and tired of investing in bonds and stocks, you might want to check out alternative investments to diversify your portfolio. Generally speaking, investment deals that go beyond conventional bonds and stocks are better known as alternative asset classes. Some would say that these are risky investments; and yet, with proper guidance you have good chances of making a profit. Alternative investments provide a wealth of possibilities; starting from classic cars and racehorses to private equity, commercial real estate and fine wine. Different strategies are being used to convert an investment into hard cash. Don’t be reckless and always keep in mind that alternative investments are a rarity. It’s not a sure thing that you’ll make a fortune with that case of vintage Bordeaux you just bought at an auction. Alternative asset classes are not meant for everyone. These are usually addressed at wealthy investors who can actually afford to lose money; if you can’t do that, than it might be a good idea to keep your distance. Prior to spending any money, you have to find an investment source you can actually trust. It is important to deal with verifiable vendors or platforms; investing online is pretty common today, but so are investment scams. Whether you choose to do business with a placement agent or broker dealer, before spending any money just make sure to verify their credentials. Check their business portfolio too; you should be dealing with the best in the business if you want to increase your chances of success in the alternative investment market. Some people invest in things they actually like, such as art, vintage cars, wine or coins. These are also known as “hobby investments”. Basically, you invest in something that you’re fond of, and if the investment doesn’t pay off, that’s fine. The rich can afford to spend a lot of money on collectibles, and sometimes they don’t want to sell even if that items turns into a fortune. However, if you’re a wine aficionado, you like the product but you also want to make money with it, it’s worth taking a risk and combines business with pleasure. 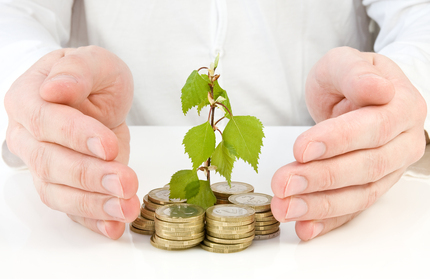 Perform a thorough research prior to investing in an alternative asset class. If you’re trading online, make sure you can get in touch with the investment platform at any hour of the day. This is fundamental. A prompt response shows that the company you’re dealing with is valid and trustworthy. Your next step is to get familiar with your preferred type of asset. To be able to get a feel at how and when to invest, you have to understand how that particular niche works. Certain platforms only deal with startup equities, while others may have a variety of asset classes. Preferring certain assets can have an influence on your preferences; it can help you search the platform that seems mostly relevant to your needs and wants. There’s a certain amount of risk liked to alternative investments. The most common question investors ask themselves is ‘how long will I have to wait until my investment turns into cash?’ Sadly, nobody can give you a straight answer. Alternative investments are not as scary as you might think. The fine wine market for example, has had its ups and downs over the years. However, just because your investment went through a rough patch, it doesn’t mean you should quit. A UK wine investment company can tell you more about the wine business, and thus help you make the right decisions. The same goes for all other forms of alternative investments. The key to success is to deal with experienced people that can help make sensible decisions.